Number one huge PRO TIP, this stuff stains a lot. If you are very fair, you will look like you have a fake tan on your face once you wash it off. If you apply with your fingers, it will stain your fingers like something nasty. Think gross nicotine stains. Yeah, not cute. For obvious reason, we like to do this mask at night before bed. 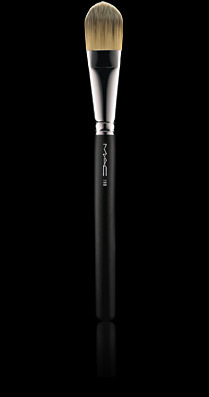 Solution – apply using a foundation brush such as a MAC 190. 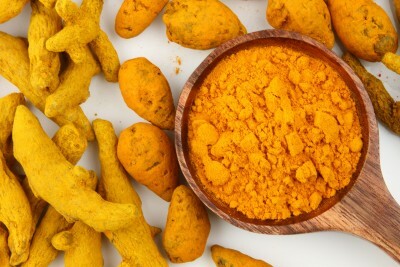 Step 1 – In a bowl or dish, mix the tumeric powder with a good amount of honey to make a nice paste. There is no set amount of either ingredient, just make enough to cover your entire face. If your mixture is too dry, add more honey. If it’s too runny, add more tumeric. You can also add some plain yogurt for additional lactic acid as an exfoliating aid. The yogurt also slightly prevents staining on your pretty face. Step 2 – Apply the mixture using the foundation brush to your face. Be careful to avoid your hairline, especially if you have light or blonde hair. We haven’t personally tested this theory, but it may stain your locks. Step 3 – Leave the mixture on until it dries and hardens. Sip some wine, read a book, play with cats. Get comfy, it make take a while depending on the consistency. Be prepared to give yourself about an hour of time from start to finish. You will feel the mask pull and tighten. Rejoice! You’re almost finished! Also, try not to do this around a boy, he may think you need help, and not the beauty kind. Step 4 – Wash off. Be patient, this stuff falls in love with your face and doesn’t want to let go. You will end up with a slightly yellow, orange, or tan skin afterwards. Don’t panic. Moisturize as usual, and go to bed. By morning, the rest of the color will fade. You can use a scrub if it is more stubborn and won’t fade. in regard to health and wellness journal article. Hi there, I wish for to subscribe for this website to get most up-to-date updates, thus where can i do it please assist. Thanks! We are just using wordpress. hi you have a great blog. I wanna thank you for sharing this cool information with us. Keep up great job. Great Facial Mask option. I’ve used Nutmeg and Honey, I’m curious to see how this works! Check it out! Thanks for the reblog! I like the idea of Nutmeg and honey. Does the nutmeg stain? I can’t wait to try it! Thanks for letting us know!